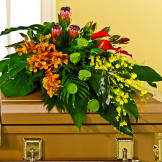 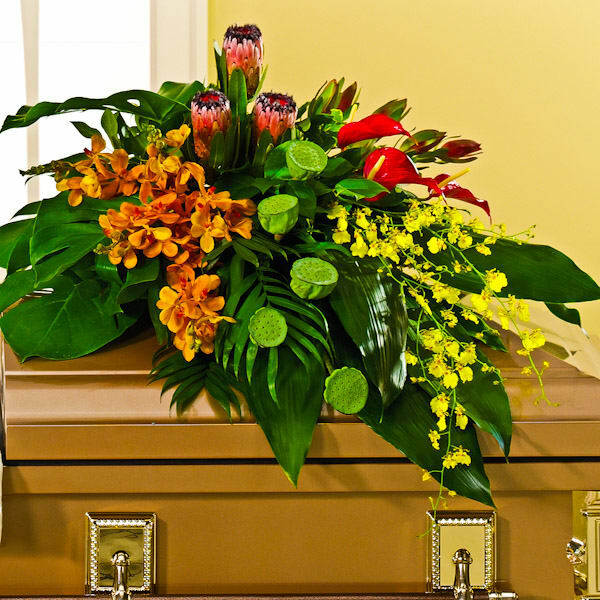 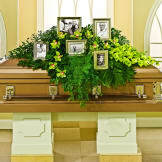 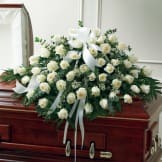 A peaceful tribute of gorgeous flowers in a half casket display. • Designed with orchids, anthurium, protea, leucadendron, lotus pods, aspidistra, pittosporum, monstera and salal. 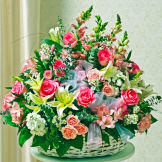 • Measures 17"H x 40"W x 29D.